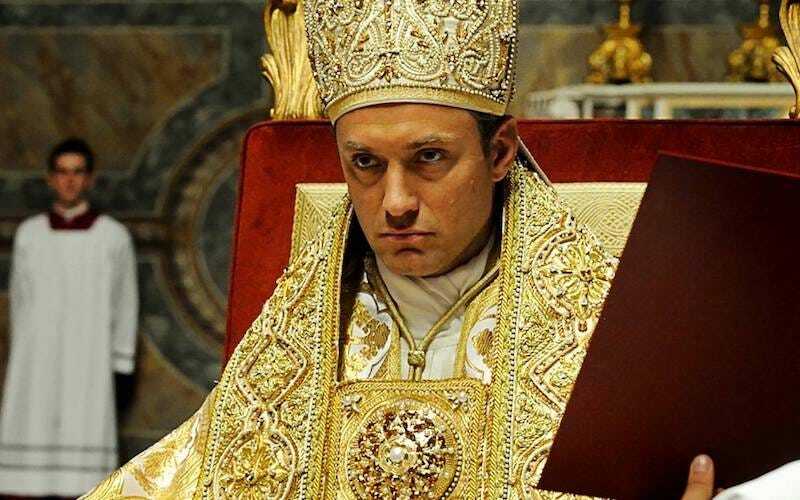 Italian director Paolo Sorrentino has announced that he is working on a new series tied to his series The Young Pope, which starred Jude Law as a maniacal new pope named Lenny Belardo. The new series, which is laughably titled The New Pope, will reportedly have “a different twist than what would be expected.” Belardo also might return in a smaller role which might confirm that he did not die at the ambiguous end of the series. Variety notes that, like Fargo and True Detective, The Young Pope seems to be more of an anthology series than a miniseries. The cast might change but the “original world” of the first season remains in tact. This is good news if you loved The Young Pope, but it’s left me wondering what the exactly the state of the miniseries is in 2017. Recently it seems like whenever a limited series is premiered the expectation is that it will continue, even if the storyline feels like it’s been concluded. As a result of the enormous success of Big Little Lies, which was based on the book of the same name, the author Liane Moriarty has been prepping ideas for a second season. The Night Of, another limited HBO series, also might have a second season due to high demand, and Top of the Lake is now back for a second season. But unless you’re Fargo or American Crime Story, sometimes a limited series should stay a series with actual limits. In the case of Scream Queens, which was just axed, the second season did little to build on the universe created by the first season. True Detective’s attempt at a second season paled in comparison to its first, perhaps because the first, which was billed as an “eight part event drama series,” was written over the course of several years. The Handmaid’s Tale has confusingly been set for a second season even though the book it’s based on doesn’t seem to warrant it and the embellishments made to the show’s plot have come under fire for being exploitative. All of this is coupled with the fact that film directors are flocking to television, keen to argue that their TV shows are more like movies that are just divided into parts, especially if it’s something available to binge-watch entirely. The new limited run of Twin Peaks is a “feature film in 18 parts.” The OA was “an eight-hour film, or like a novel.” But the difference between movies and television is that movies, of course, end. What happens when you give a show like The OA a second season when it’s apparently intended to be an insanely long movie: now you just have two insanely long movies? Somehow I think you can’t have it both ways, insisting your TV show is a movie but then letting it continue... just like TV show. I guess it really doesn’t matter how long a TV show is when web-series with episodes under 10 minutes can turn into TV shows and it seems like older series return for reunion specials almost monthly now. The most popular television show for teens in Norway right now is Skam, which airs small clips and social media posts from its characters in real time, all of which is combined into one full episode on Friday. So maybe that’s the future of television—each show will be a never-ending soap opera! But while the benefits of trying to continue a show like The Young Pope seem clear, the same way continuing a film franchise is for the built-in audience, maybe Sorrentino should let the famously invisible pope rest.